I am almost off to Amsterdam sincerely hoping to see and hug ‘all my most loved ones’ the coming two weeks, but not before sharing some ideas to wear an old time favorite basic this winter: black leather pants. 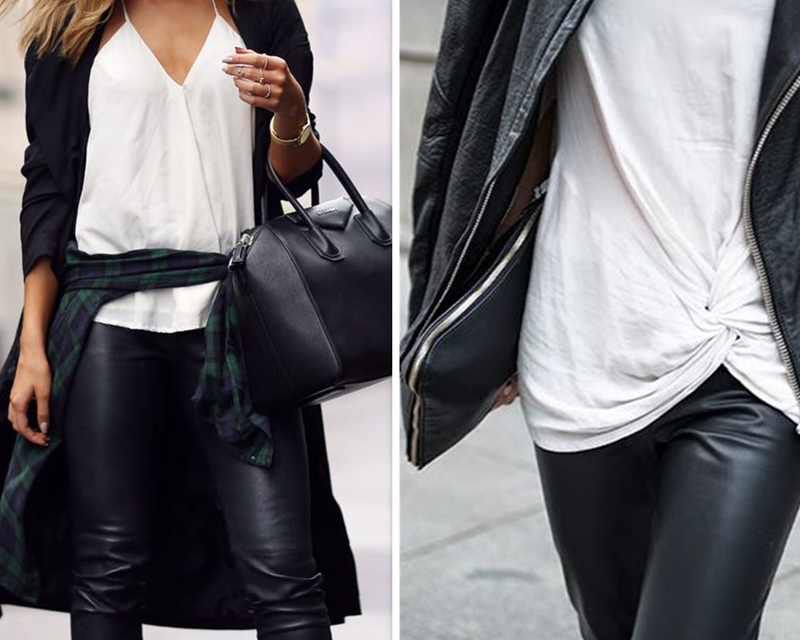 When packing I decided to bring my leather pants, a knitted, soft, slightly oversized sweater and my white All Stars but black leather pants do also go perfectly well with motor boots and a leather jacket for a tougher look for example. Personally though I prefer the combination with soft knitwear or white cotton as it nicely balances out the harder edge of the leather, wearing it either with sneakers or ballet flats. Anyway, they make a great basic for working my sporty and smart casual outfits to take to Holland this winter so a definite ‘yes’ even when packing light. Wishing all of you a happy Holiday filled with warmth, love, hope and happiness!